When your pregnancy is complex, your OB-GYN or midwife may recommend you be cared for by a maternal-fetal medicine specialist. These physicians, also called perinatologists, are obstetricians with additional specialized training in the management of pregnancy complications and the treatment of high-risk pregnancies. Our perinatologists consult with your community-based providers to assist in identifying and treating the complications of pregnancy. In some instances, our physicians will work with your doctor or midwife to assume total care for the duration of your pregnancy and delivery. The maternal-fetal specialists are Fellows in the American College of Obstetrics and Gynecology (ACOG), a national society dedicated to advancing women's healthcare. The College establishes national guidelines concerning women's health in the United States. A Fellow has passed a more rigorous set of requirements. The Methodist Women's Hospital Perinatal Center and its physicians are accredited by the American Institute of Ultrasound in Medicine. 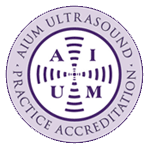 AIUM accreditation is granted to only those physicians who demonstrate that they meet or exceed nationally recognized standards in the performance and interpretation of obstetrical ultrasound examinations. Our goal is to enable women to remain in their home communities and continue obstetric care with their own physicians whenever possible. We work closely with referring physicians and community hospitals in a four-state area to help families enjoy as normal and healthy a pregnancy and birth experience as possible. Clinic Hours: Monday - Friday, 7 a.m. - noon and 12:45 - 4:30 p.m.
For your convenience, appointment times are also available at clinic locations in Council Bluffs, Grand Island, Hastings and Indian Hills (Omaha). If you are interested in seeing one of our physicians at one these locations, please ask about availability when scheduling your appointment.